Corporate Games is the world’s largest corporate multi-sports festival with athletes or, “Weekend Warriors”, representing thousands of organisations worldwide. This year’s New Zealand Corporate Games was held on 13-14 November, 2010 in Alexandria Park Raceway, Auckland and included touch rugby, golf, netball, soccer and indoor cricket. Two of our USANA Associates, Elsa Andres and Doug Palmer participated from the sidelines on Registration day (12 November, 2010) promoting USANA Health Sciences to the 300-400 athletes in attendance. Interest in the USANA products was high, especially the Rev3 and nutrition bars , which Doug and Elsa handed out as samples along with Health Product Handbooks and Health Essentials mini magazines. 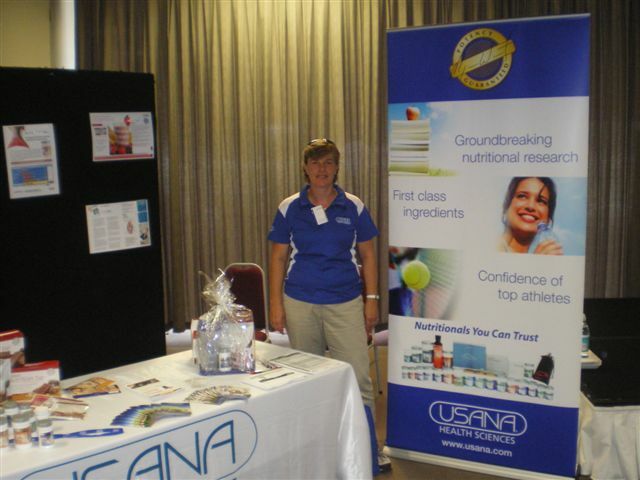 Apart from promoting the USANA products, the focus was also to educate the participants about healthy options they could use to improve their overall health and their performance during physical activities. 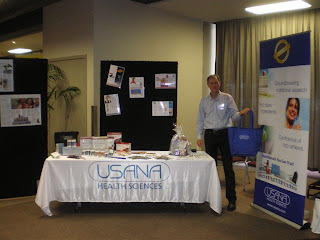 USANA’s participation was well received by the organizers and athletes alike. Thank you to Doug and Elsa for spreading Dr. Wentz’s vision and reaching out to athletes in need. Pictured above (left to right) Elsa and Doug at the USANA Health Sciences Info Booth.